The Rural Development Council is an advisory body to the Scottish Cabinet Secretary for Rural Affairs and the Environment, Richard Lochhead MSP. Its members include: Barbara Kelly; Donald MacRae of the Bank of Scotland; Stuart Housden, the Director of RSPB Scotland; Derek Logie of the Rural Housing Service; Liberal Democrat Councillor Alison Hay from Argyll and Bute Council; Kate Braithwaite, Director of the Carnegie UK Trust Rural Programme; Alex Walker, chairman of Development Trusts Association Scotland; Shiela Garson from Shapinsay Development Trust; Neil Macleod, the chair of the Scottish Crofting Foundation, Jim MacLaren of NFU Scotland; and Liam Beattie, a student from the University of Stirling. The Council was formed in 2008 and has met in Dumfries, Dunkeld and Finzean. "I am delighted to see that we now have a forum where the rural voice can be heard at the heart of Government." In 2010 the Council launched a consultation paper called "Speak Up for Rural Scotland". The consultation seeks views on "how best rural Scotland can contribute to the nation's sustainable economic growth", noting the potential of the natural assets of rural Scotland and identifying priorities and opportunities. These are listed as 37 "step changes" which the Council considers important. ↑ "Rural Development Council up and running". 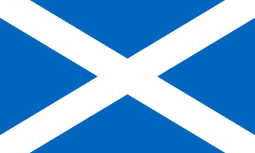 scotland.gov.uk. Retrieved 4 December 2016. ↑ "Dumfries minutes". scotland.gov.uk. Retrieved 4 December 2016. ↑ "Speak Up for Rural Scotland" Rural Gateway. Retrieved 13 August 2010. ↑ "Move to boost Scots rural economy". (3 August 2010) Aberdeen: The Press and Journal.